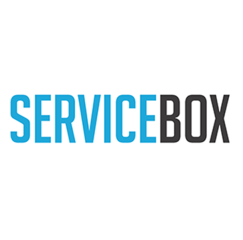 ServiceBox is a field service management software specifically made for locksmiths, HVAC repairmen, plumbers, and other service providers. It allows users to manage work orders, quotations, contracts, timesheets, and invoices. In this article, we cover user reviews and pricing. Ready to get started with ServiceBox? Request a demo. Users who gave ServiceBox a positive review said that it has an organized interface that allows them to schedule job appointments, bill customers, and manage customer information. They also shared that mobile access enables them to track job site updates remotely. Users who gave ServiceBox a negative review suggested improvements on its reporting, photo documentation, and notification features. They also reported glitches and bugs when searching for information, saving documents, and switching between tabs/screens. One user who gave ServiceBox a negative review on Capterra said that he would like to see more robust and customized reports in the program. He also mentioned that there should be more detailed photo documentation capabilities for on-site job updates. According to ServiceBox’s website, their pricing can be as low as $20 per month per user, but no further details were provided. Based on a third-party source, their monthly prices range from $50 to $200. The main differences between the plans include the number of users, customers, and storage. Ready to get started with ServiceBox? Request a demo. Can ServiceBox users track their employees’ work hours? Yes. ServiceBox lets users track each employee’s time spent on every site. They can accurately log the timesheet information through its geo-tracking tools. How does ServiceBox help users monitor various job sites simultaneously? ServiceBox enables users to manage multiple job sites by providing them with a centralized platform to create, edit, and share updates to all their employees. It also helps them keep track of all the work order status. Not sure if ServiceBox is the right fit for you? Read our reviews of all top field service management software or check out one of these three ServiceBox competitors. Excellent scheduling program! We have worked on three different scheduling programs and this is by far the best and most economical! Our technicians know their schedules and work orders for the day even if they do not come to the office. Our customers love the en route notifications with electronic billing and pictures attached. We love that it integrates with our accounting program and is extremely user friendly. We cannot live without it! it definitely saves us time and money and it’s paperless! Their customer service is fast and efficient. We will let you know if we find something! Nothing. So happy with our choice! Organization of customers, contacts, invoices, quotes, etc. All the customer’s information is in one spot, and there is a full history of your communications with them for easy future reference. The “To-do” feature is a great tool that can be tagged to a customer or a quote, which automates the follow-up process, allowing our sales team to land more jobs quicker! As of now, I have no complaints or comments on what could be improved. In fact, I was pleasantly surprised of all the additional features of the product that I wasn’t aware of before purchasing. Also, their support response time is excellent! Any and all questions I had were all answered in a very timely manner.